As we begin this Memorial Day weekend, I want to take a moment to thank the brave men and women who have served in our nation’s armed forces and who are serving today. My father, Charlie Fegins, served at Pearl Harbor during World War II and was on the USS New Orleans when the attack occurred. He survived and came home. He was awarded a World War II Victory Medal. 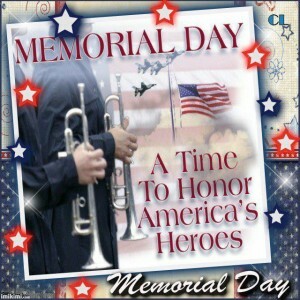 I want to thank those who have sacrificed their lives in service to their country and never came back home alive. During Sunday I watched 60 minutes as the show reflected on the heroism of our soldiers. It also exposed the many issues of mental, emotional and physical issues our veterans face ;as well as homelessness. My heart was touched as well as broken. Dr. Rita Nakashima Brock, Ph. D writes about how many veterans have come home “morally injured” and struggle to overcome homelessness, mental issues and other stuggles ,which this nation must more effectively address. I prayed at home alone for our soldiers while watching 60 minutes. 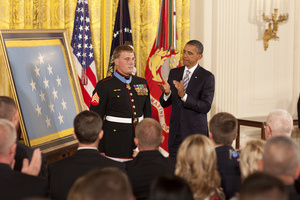 My heart was blessed by the courage of the brave then 21 year old Dakota Meyer. He works in construction now, but on September 8, 2009, he was a corporal in the US Marines. That day he saved 36 guys under heavy Taliban fire. His story is amazing. How he did this great feat , against all odds and against orders not to attempt a rescue because it was too dangerous is unbelievable . He went against orders to save the lives of his brother soldiers. How he performed heroically, what he did, and under the circumstances and LIVE- first alive US Marine to receive the Medal of Honor during the Iraq and Afghanistan wars honored by President Obama, is extraordinary. You must hit the link for his name and read it for yourself. God was with him and 10 warring angels. •	Pray for those who have lost a loved one in battle. These grieving families have paid the ultimate price. Ask that God’s comfort would be upon them in a special way . •	Pray for our wounded service members and their families. Pray for mental and emotional healing as well as physical healing. Pray they obtain the necessary medical and other services they need and deserve. •	Pray for the courageous troops, and their families, who are actively serving our country each day , not only at bases around the world, but also here within our borders. Our soldiers daily place themselves in harm’s way in order to defend the way of life we hold dear as well. •	Pray the Lord’s protection will go before them. •	Lift up the chaplains stationed around the world, along with the Christian servicemen who unofficially fulfill a role of spiritual leadership. We lift our eyes toward Your Throne, where You reign in righteousness, Your Word assures us that when Your people cry out in sincerity and humility, You will never turn a deaf ear to us. We call upon you now, seeking Your forgiveness and favor….Drop knees to the floor and raise eyes in the sky for we know where our help comes from.” Part of “Prayer for the Nation” written by Beth Moore in 2009. “Let us be thankful for the liberty that allows people of all faiths to worship or not worship according to the dictates of their conscience, and let us be thankful for the many other freedoms and blessings that we often take for granted. 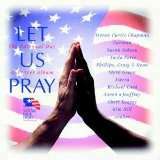 Legal and political attacks have been raised seeking the demise of this nation recognizing a National Day of Prayer. Last year was a significant milestone as on April 14, 2011 the 7th U. S. Circuit Court of Appeals rejected a lawsuit that challenged the National Day of Prayer (NDP) as unconstitutional. The court overturned the April 2010 ruling by U.S. District Judge Barbara Crabb, for the Western District of Wisconsin, that NDP violates the Establishment Clause of the United States Constitution.Two groups that represent a large percentage of atheists, the American Humanist Association and the Secular Coalition of America, seek to combat the National Day of Prayer by promoting the National Day of Reason, which is held on the first Thursday of May each year, the same day the National Day of Prayer is recognized. Rep. Pete Stark, a California Democrat, has sponsored a proclamation on the floor of the U.S. House of Representatives giving his support to the cause and as an alternative for atheist Americans to celebrate “reason,” as opposed to prayer.